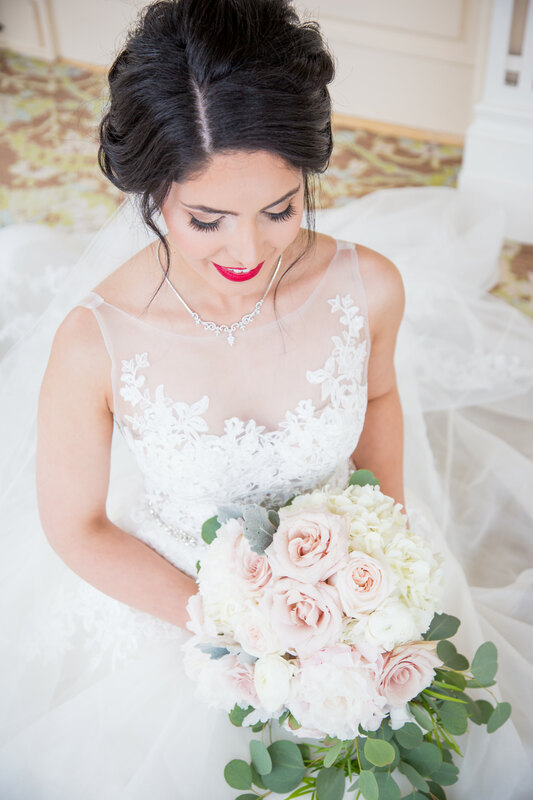 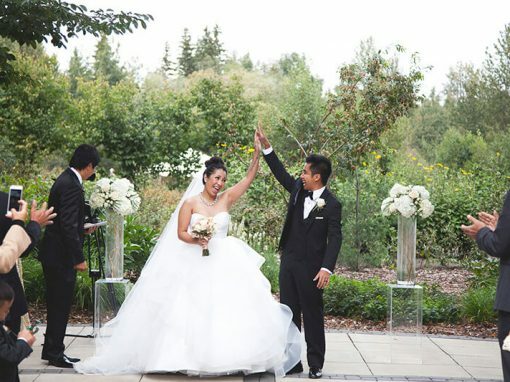 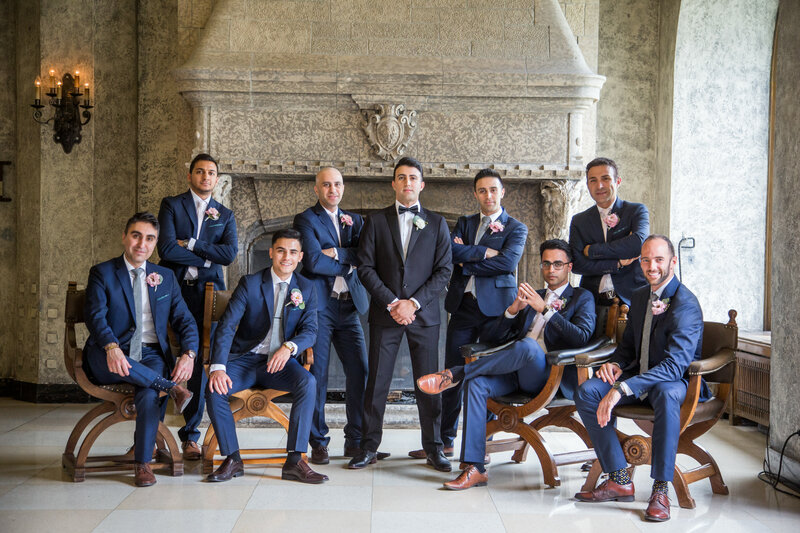 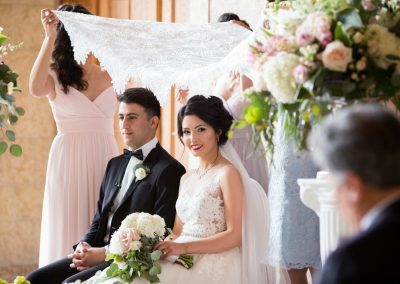 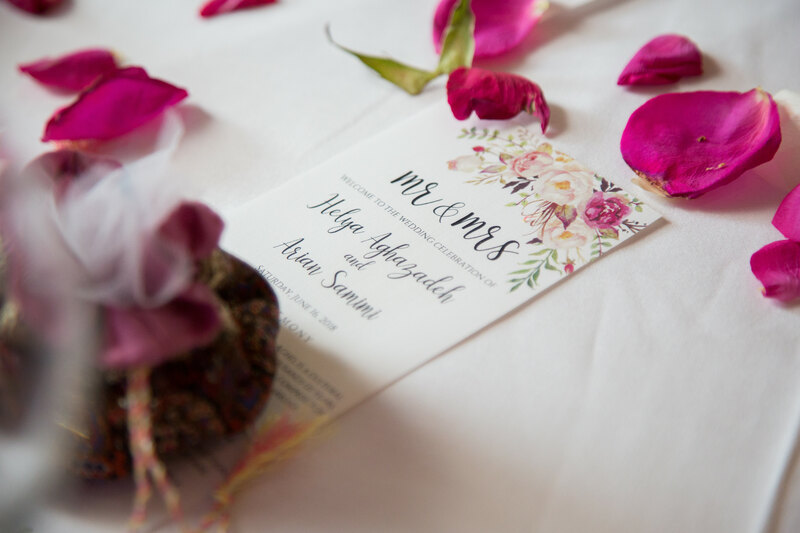 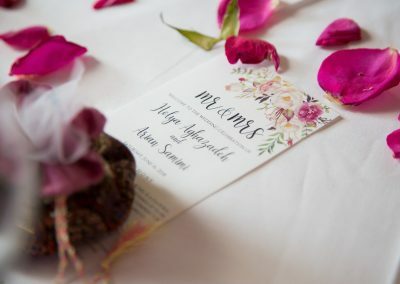 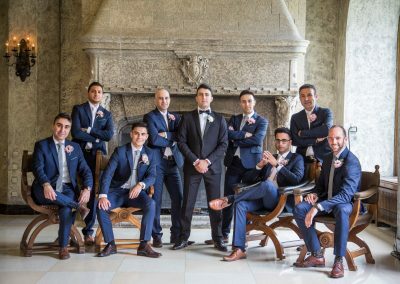 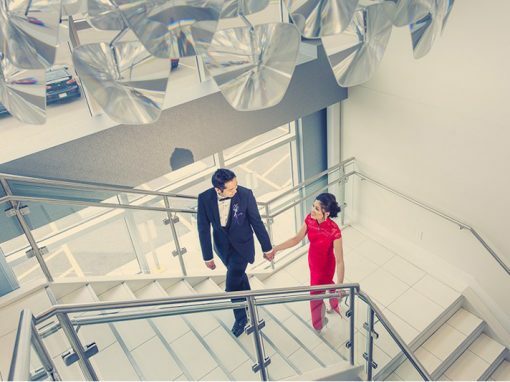 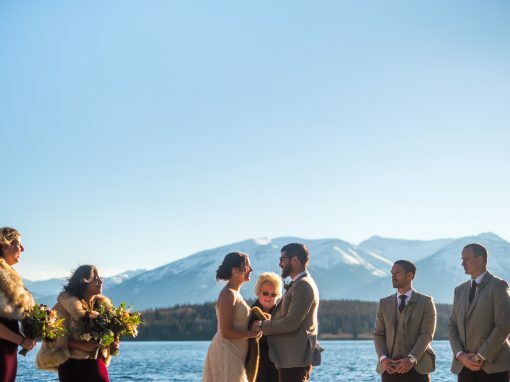 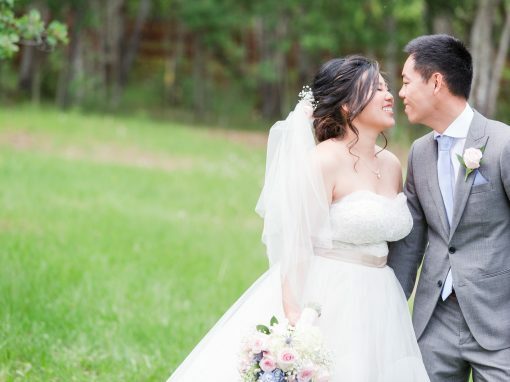 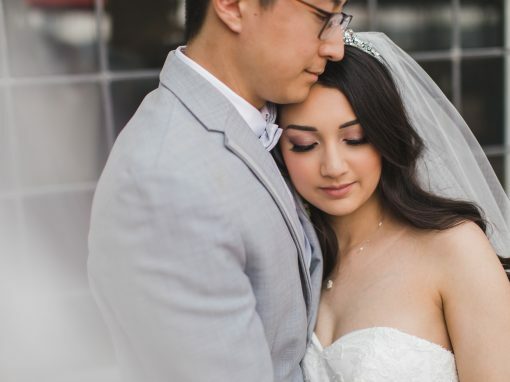 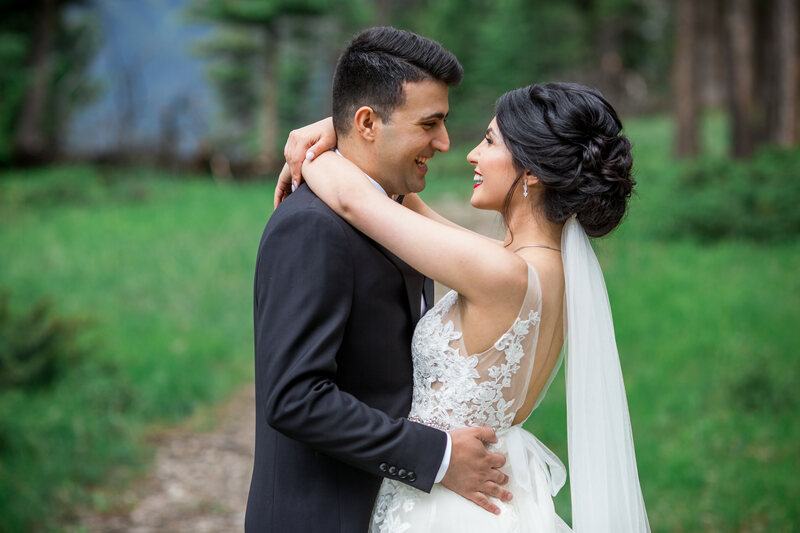 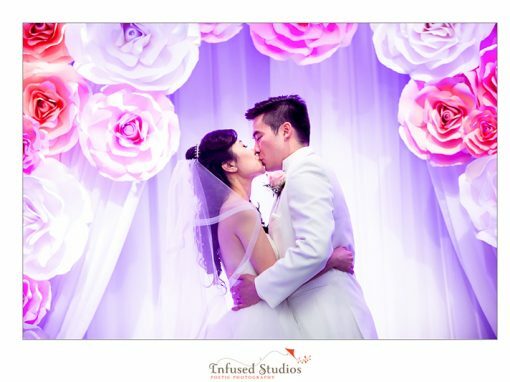 Helya and Arian had a en elegant and lavish wedding in Banff, Alberta. 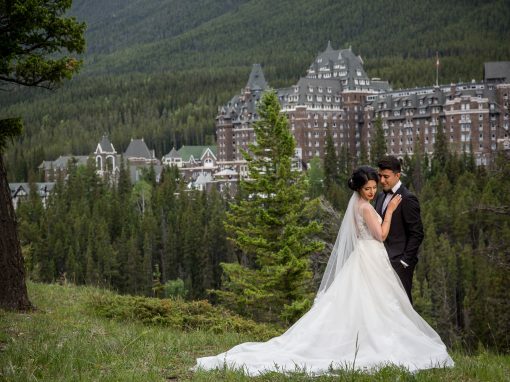 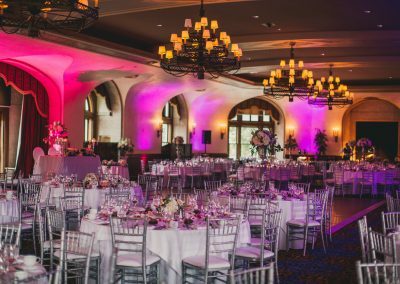 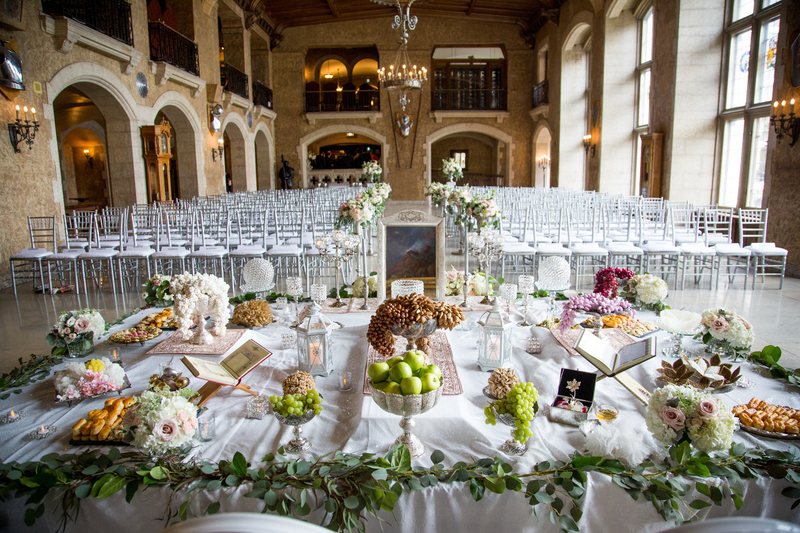 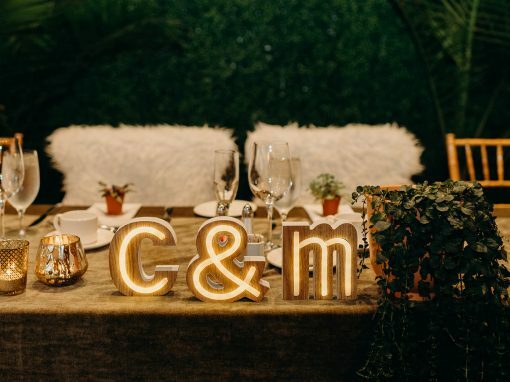 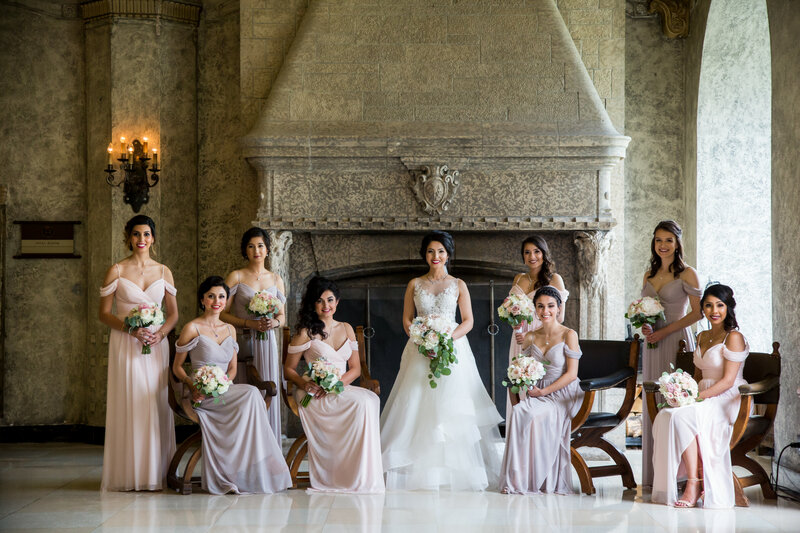 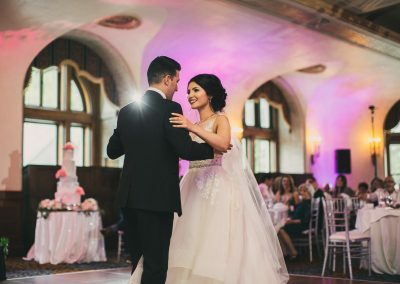 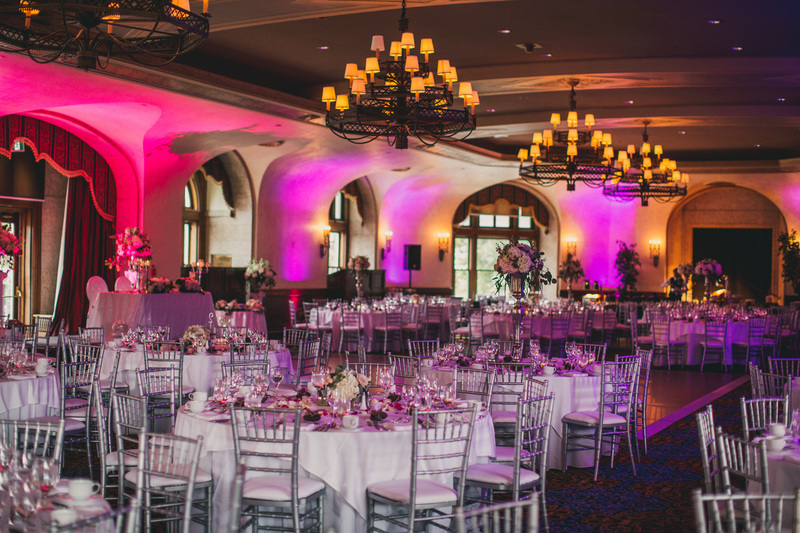 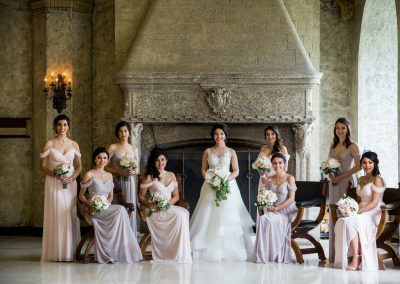 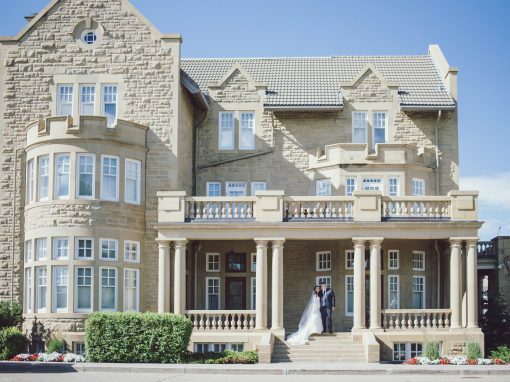 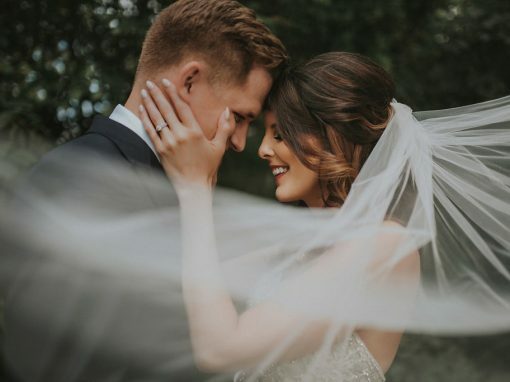 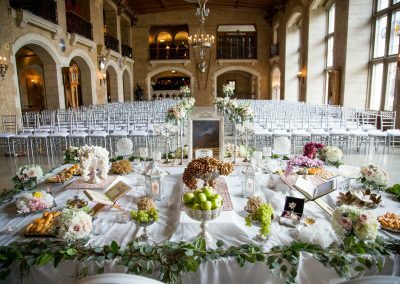 They wanted a castle-like setting surrounded by a lush forest, so the Fairmont Banff Springs Hotel was the perfect setting! 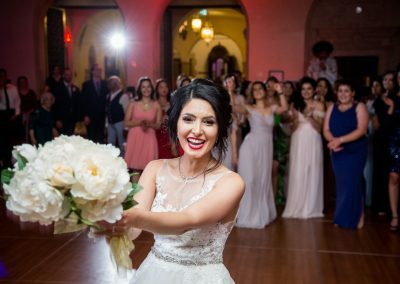 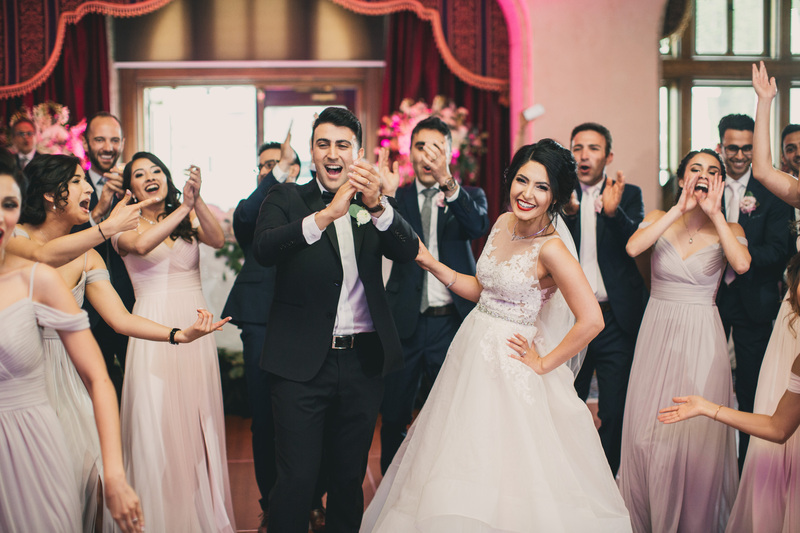 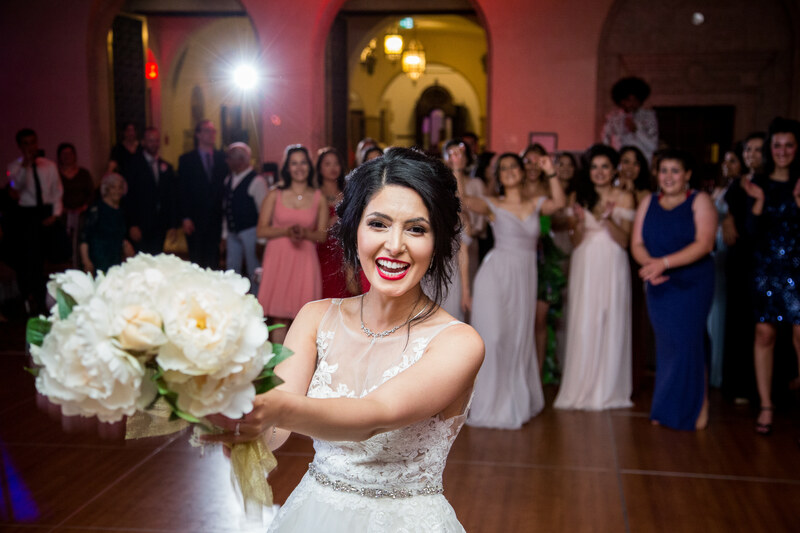 This breathtaking Persian wedding featured a 5 tier cake, a traditional knife dance, and choreographed dances by the entire bridal party. 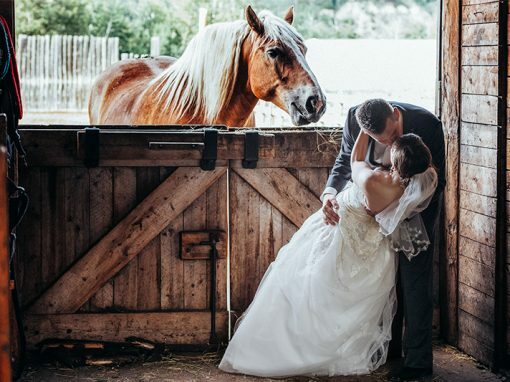 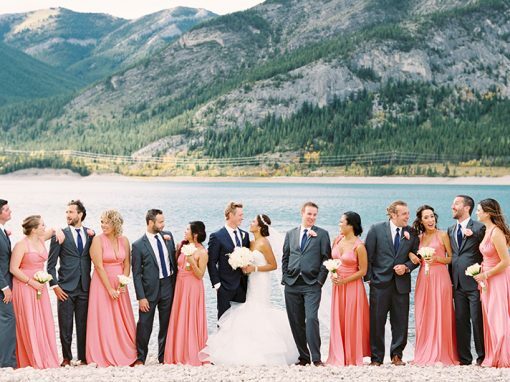 Wedding vendors travelled all the way to Banff from Toronto, Vancouver, and Edmonton to ensure this wedding had every detail taken care of. 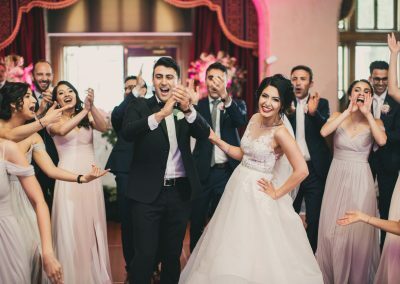 The very happy couple and their families and friends were on the dance floor the entire evening. 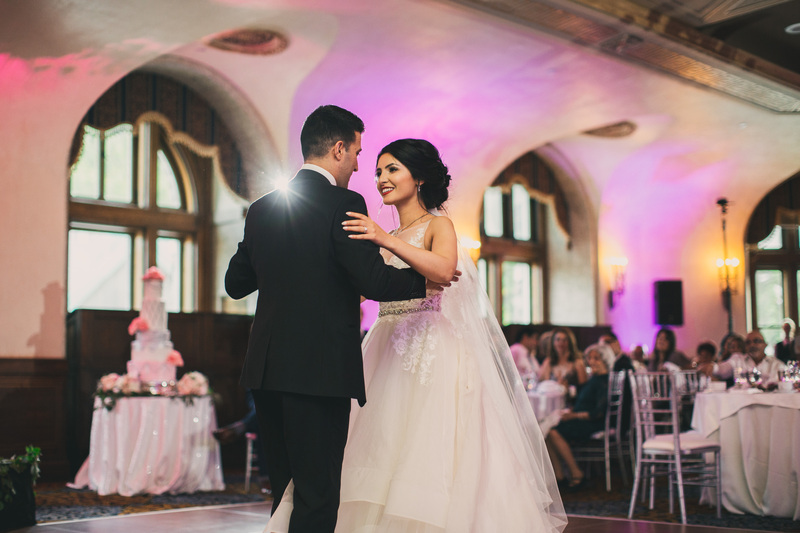 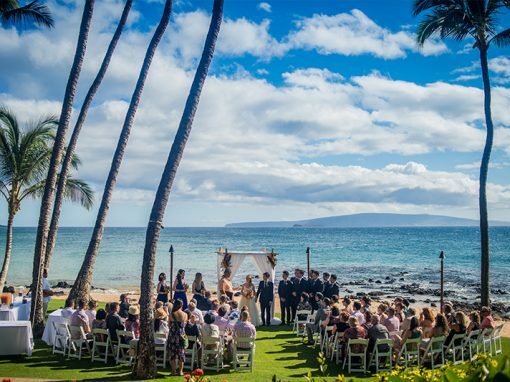 Watch the highlights of their incredible day in Videos.